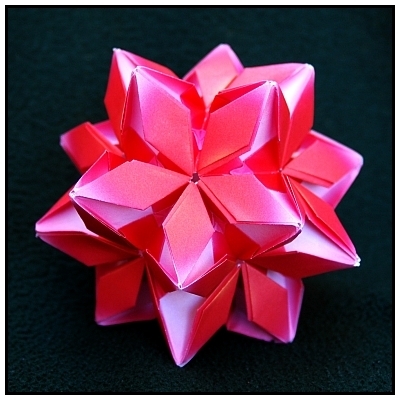 Copyright © 2012 by M. Mukerji. 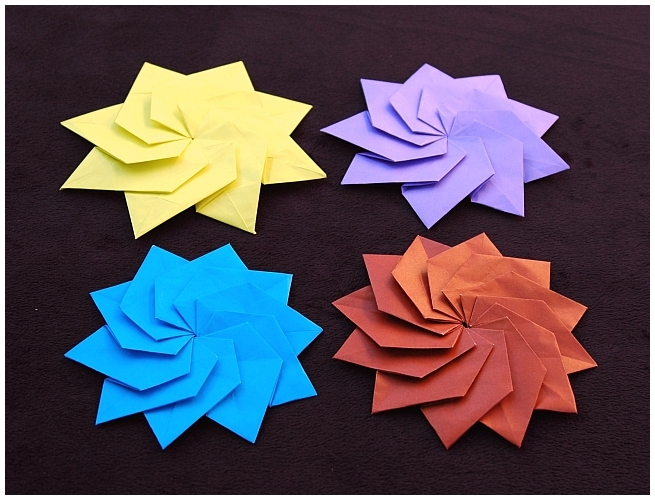 All models folded and photographed by M. Mukerji. 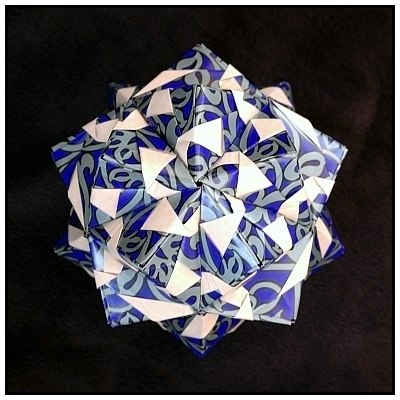 The single sheet models in the next two rows were all folded at EBOC 2012 Convention, Berkeley, CA. 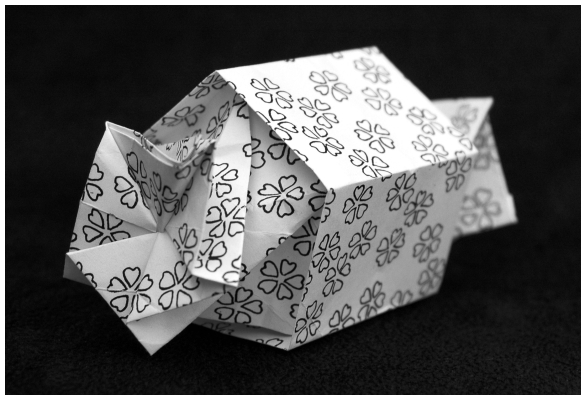 Hatching Chick designed by Peter Engel. 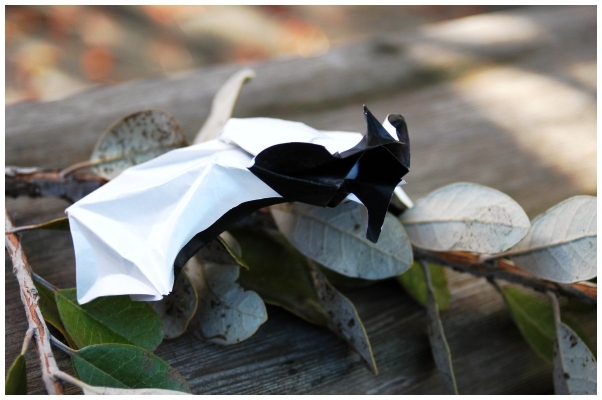 Tent Bat designed by Bernie Peyton. 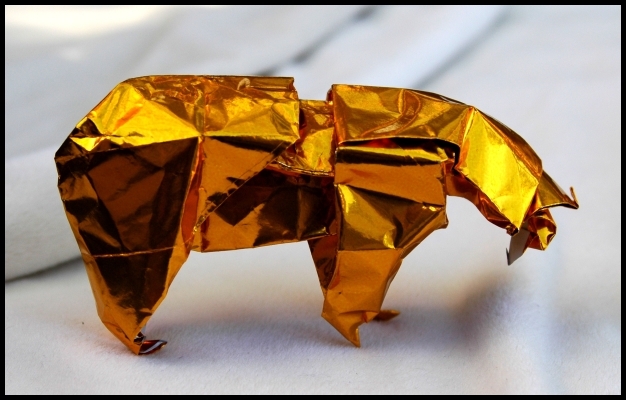 Golden Bear designed by Christopher-Yuki Itoh. 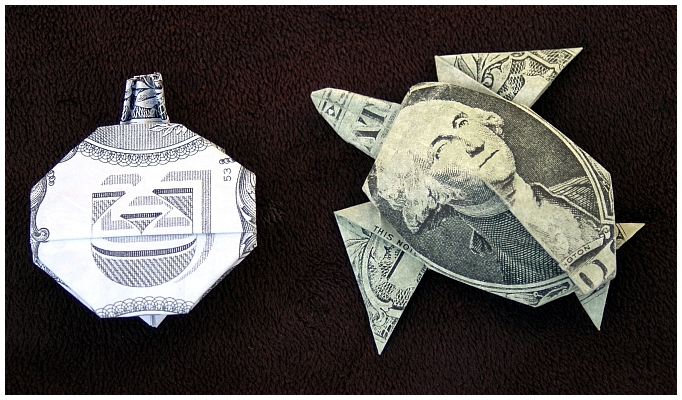 $ Bill Standing Jack O'Lantern and Turtle designed by Glenn Sapaden. 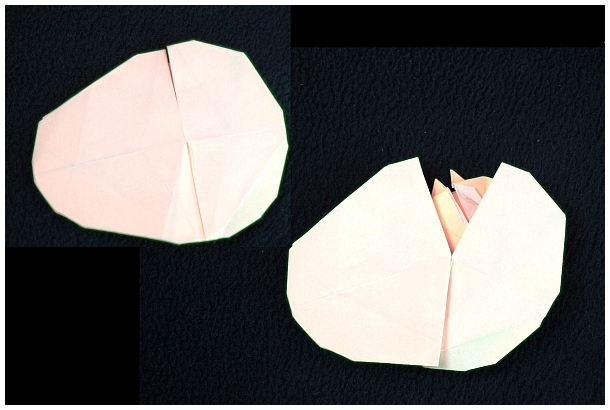 Firs and Stubs designed by Pope Eugene. 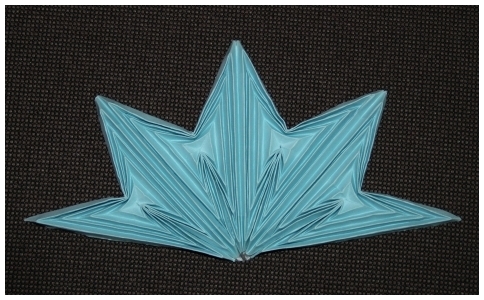 There are no tabs or pockets in this model. 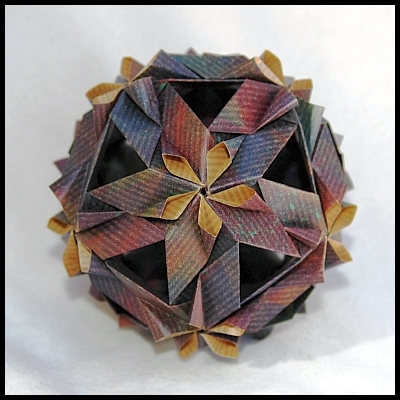 Instead the units are sturdily held together by grooves and ridges. 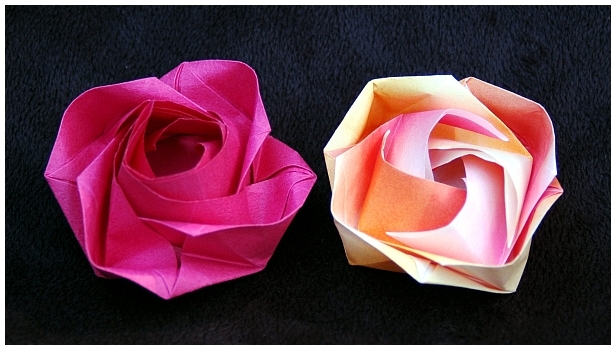 Saintpaulia - Ayako Kawate, and Fern - Yuri Shumakov. 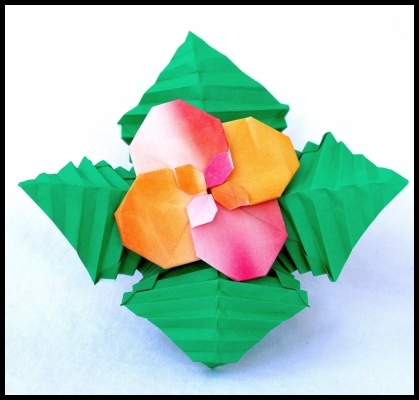 Saintpaulia - Mitsunobu Sonobe, and Begonia Leaf - Peter Engel. 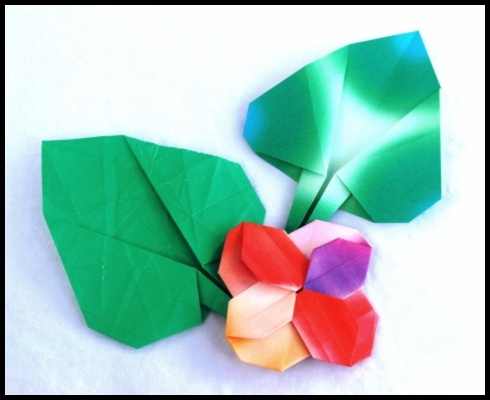 Gypsophila - Ayako Kawate, leaves - Toshie Takahama. 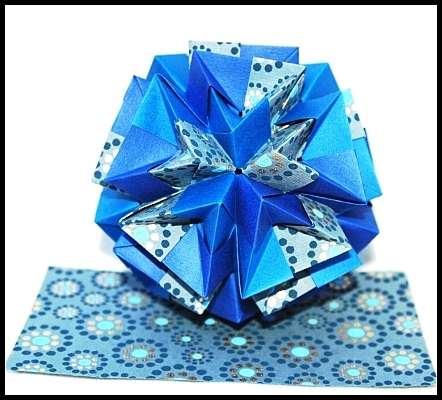 Ayako Kawate Saintpaulia variations by me. 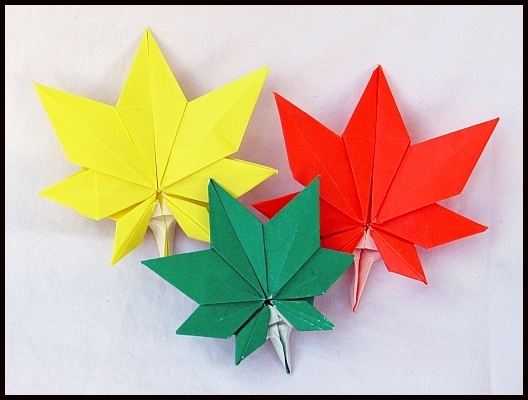 Maple Leaves designed by Kyo-seok Oh (Jassu). 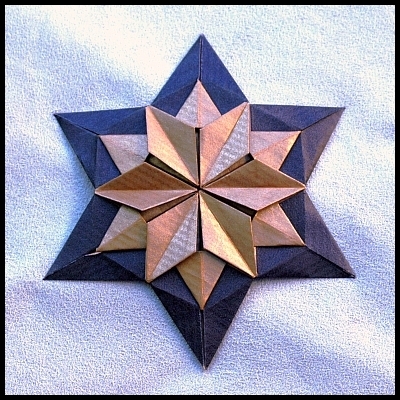 Octagonal Star designed by Roman Diaz. 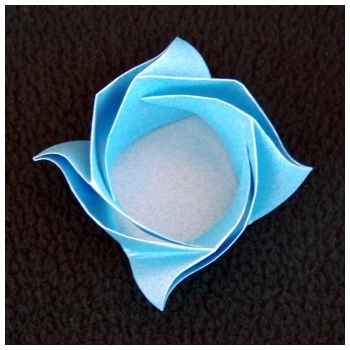 Flower designed by Evan Zodl. 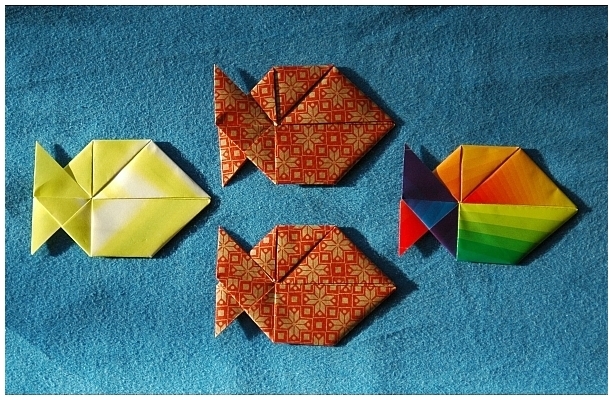 Twist Fish by designed Gay Merrill Gross. 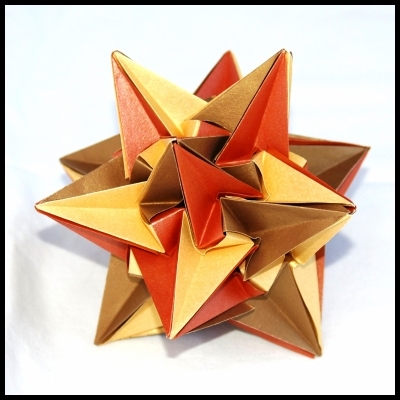 A modular designed by Daniel Reutsky. 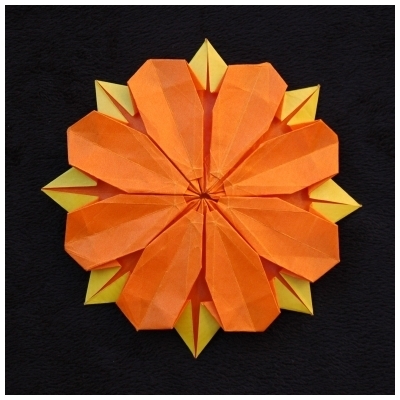 Clematis and Maple Leaf designed by Shuzo Fujimoto. 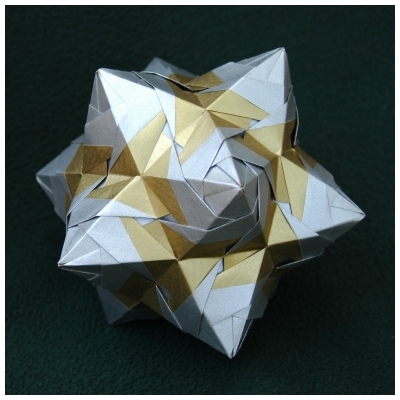 Polar Stars designed by Ralf Konrad. 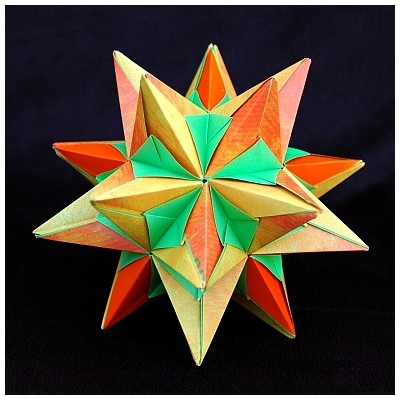 Double Stars designed by Christiane Bettens. 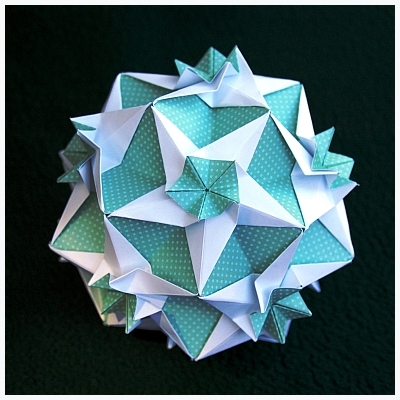 Cassiopeia and Euphorbia designed by Uniya Filonova. 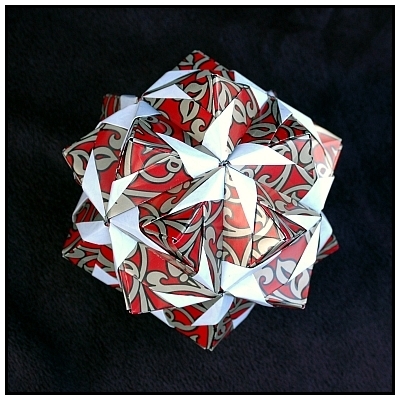 Carreau designed by Natalia Romanenko. 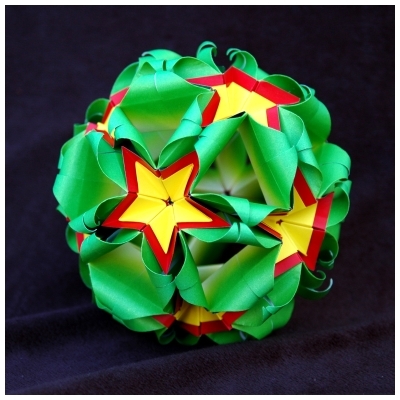 Primrose Kusudama designed by Natalia Romanenko and minor variation. 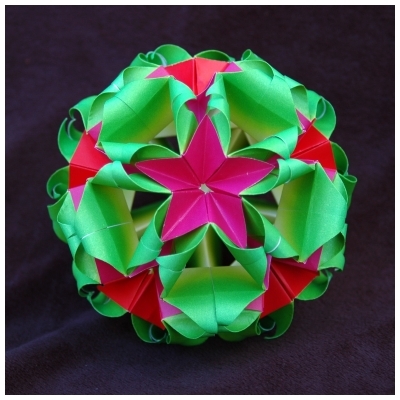 Sweet Spring Kusudama designed by Natalia Romanenko (showing minor variations in flowers). 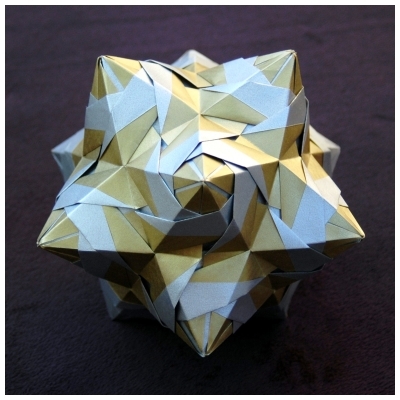 Spiral Box designed by Toshikazu Kawasaki. 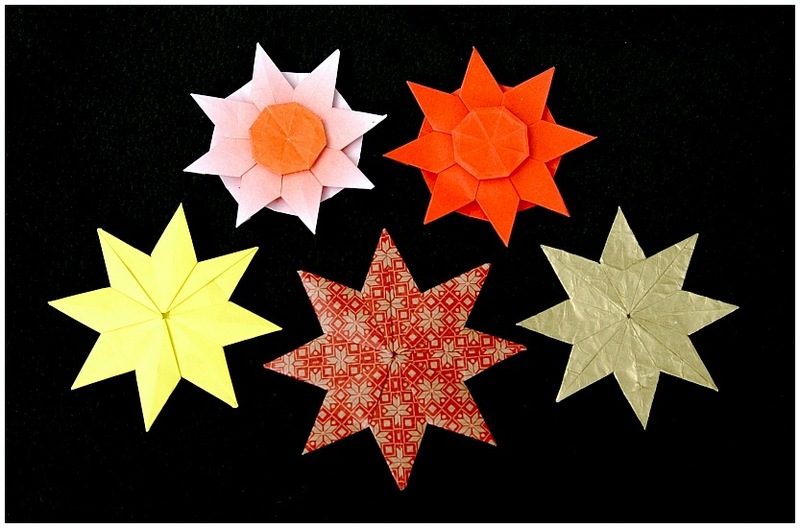 Stars designed by David Petty. 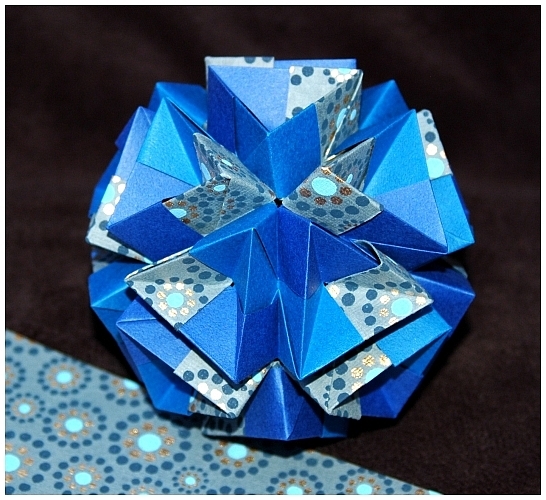 The single sheet models in the next four rows were all folded at OUSA 2012 Convention, NY. 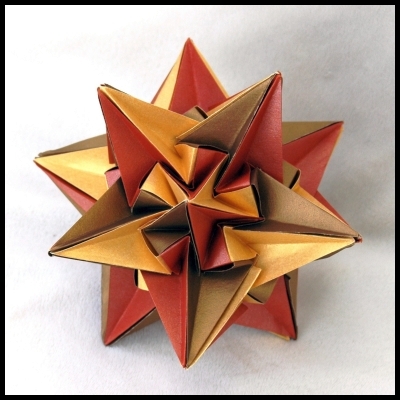 decagonal (blue) and dodecagonal (brown) versions. 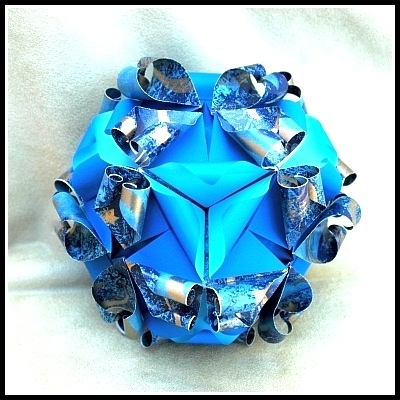 Propeller designed by John Montroll. 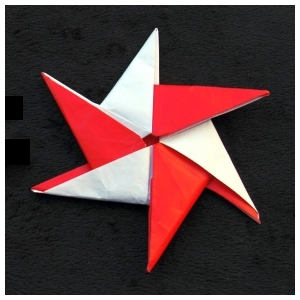 Estrella designed by Luis Fernandez. 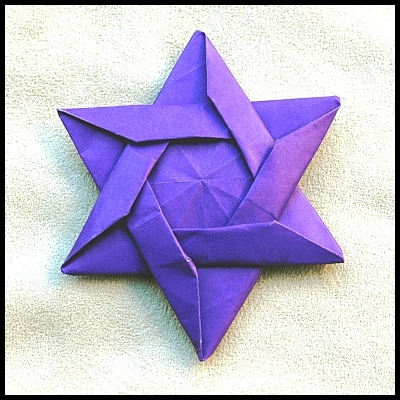 Star of David designed by Fed Rohm. 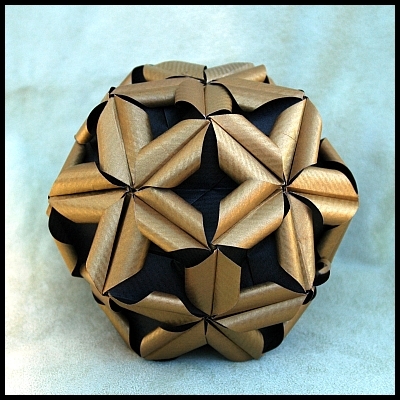 Basic Triangular and Hexagonal Tessellations designed by Eric Gjerde. 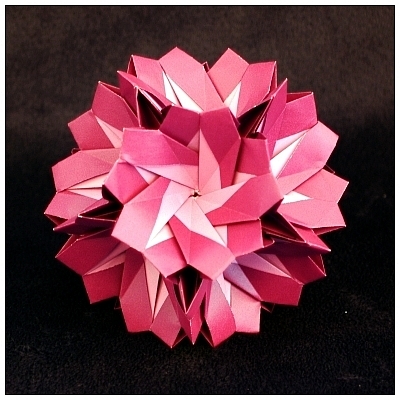 Aquilegia designed by Maria Sinayskaya. 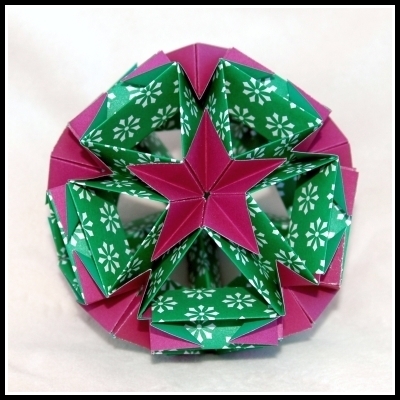 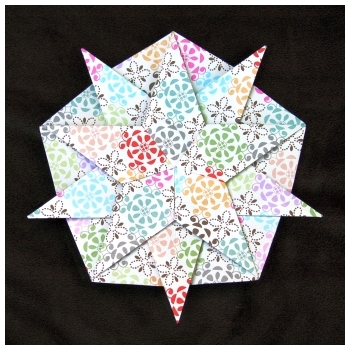 Octagonal Variation of Flower designed by Ligia Montoya. 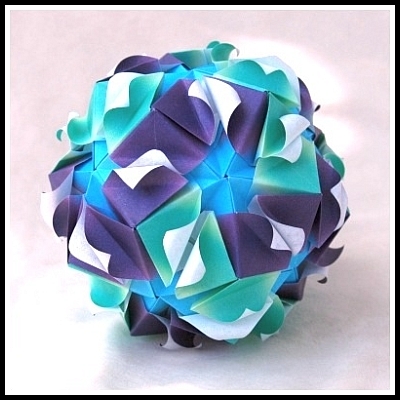 The original hexagonal version is here. 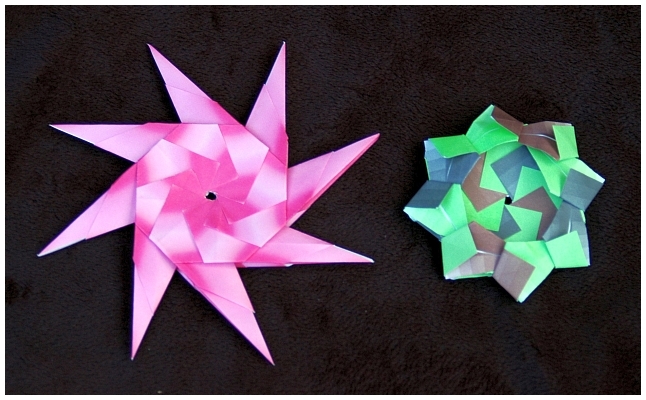 A Star designed by Tomoko Fuse and my minor variation on the right. 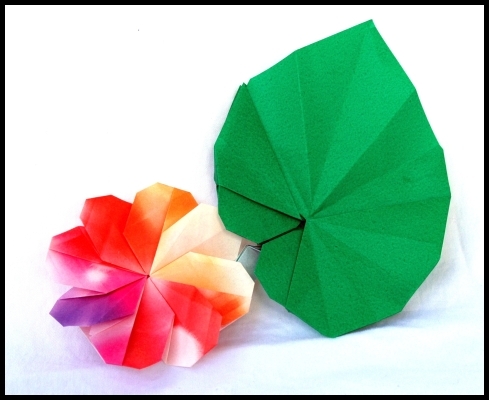 The variation is in the color of the tips. 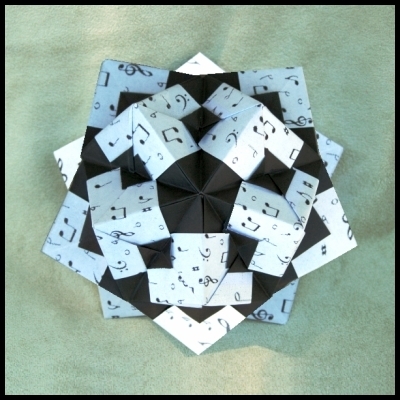 Waltz and Boston Waltz designed by Maria Sinayskaya. 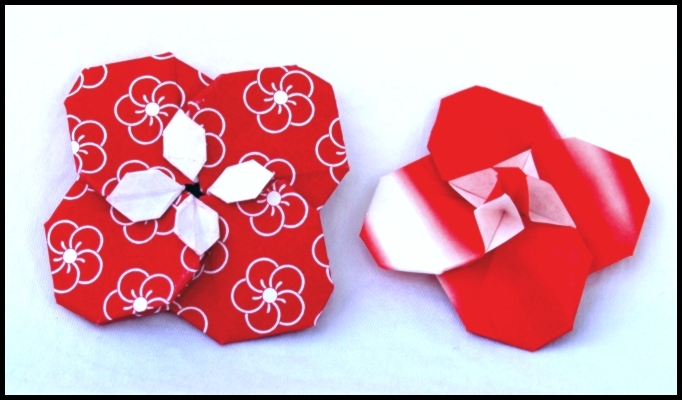 These two Sonobe variations are duals of each other and work best with harmony paper. 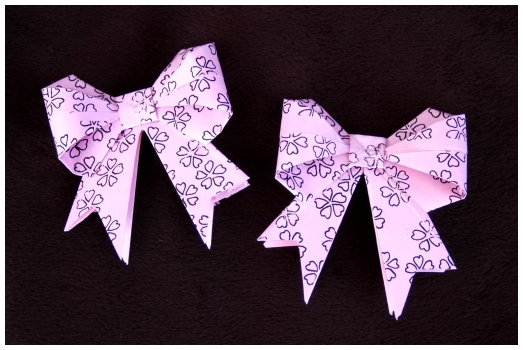 and Bows designed by Lee Hye-Kyung. 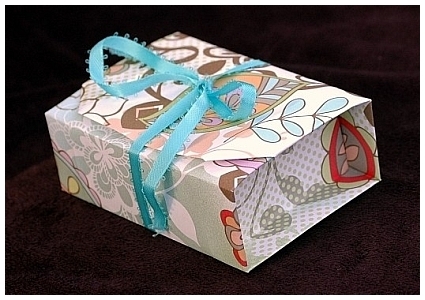 These bows involve folding as well as cutting of paper. 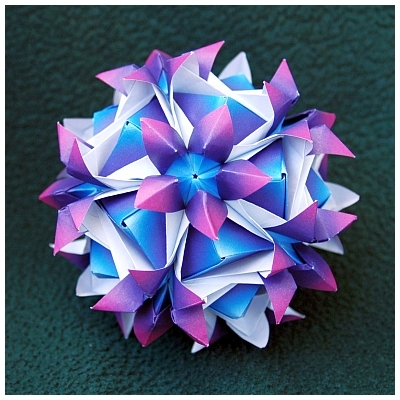 Two Views of a Model from Unit Origami Fantasy designed by Tomoko Fuse. 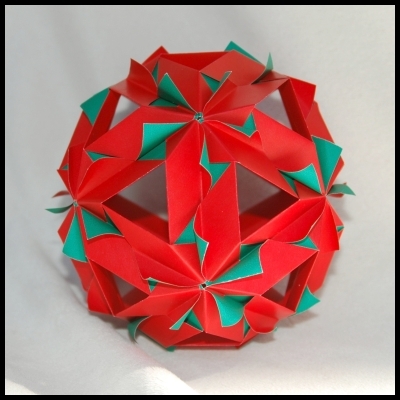 This model is made up of two different kinds of units. 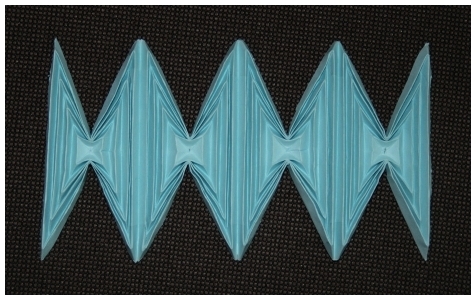 Butterfly Chain designed by J C Nolan, regular and in a half-circle. 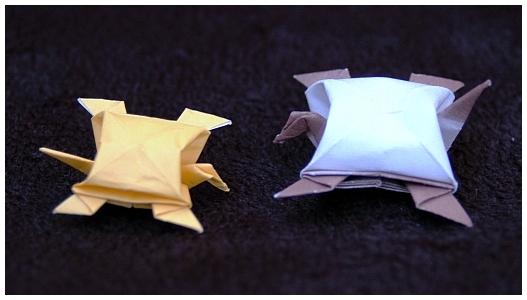 Cats and Gecko designed by Richard Wang. 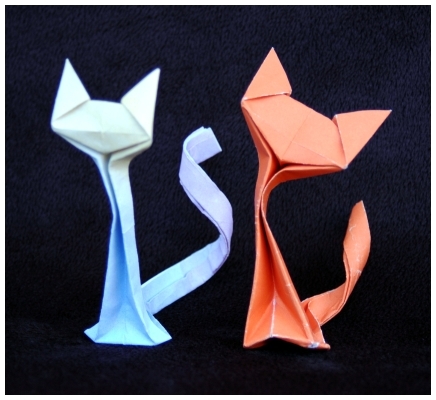 Pastel Cat and Marmalade Cat discussing whose tail is fancier. 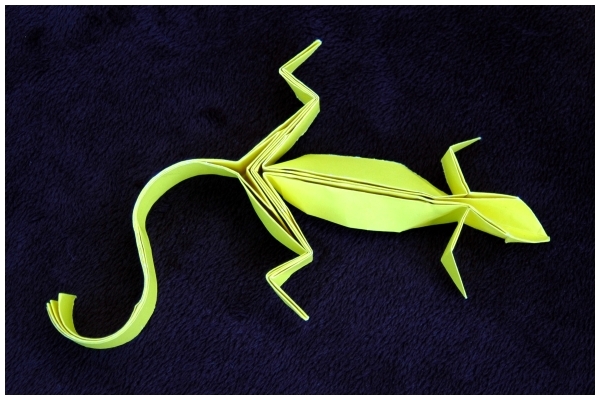 The gecko almost feels like its wiggling when you hold it. 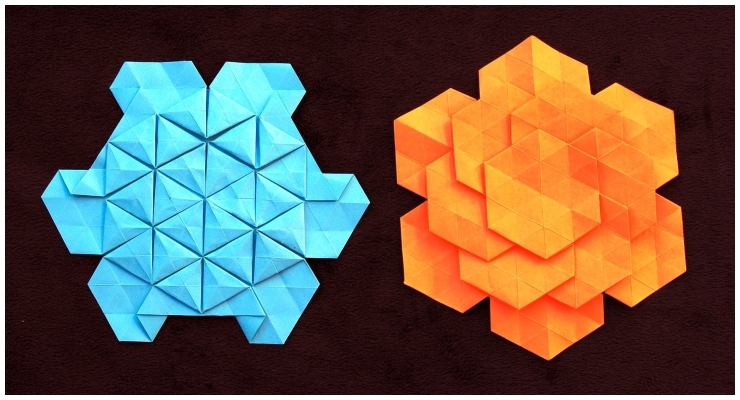 These two wonderful models are great for leftover strips about 3" wide. 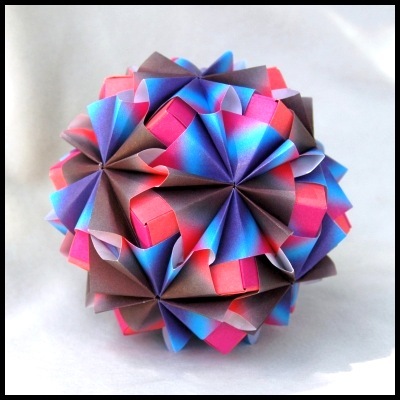 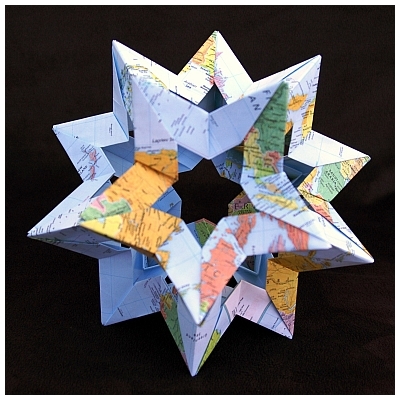 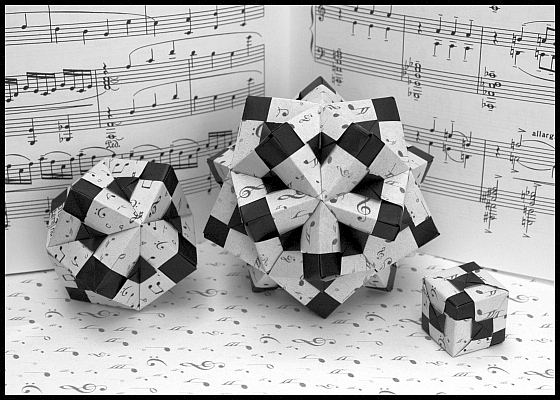 Paradigma and Mystic Kusudama designed by Ekaterina Lukasheva Pavlovich. 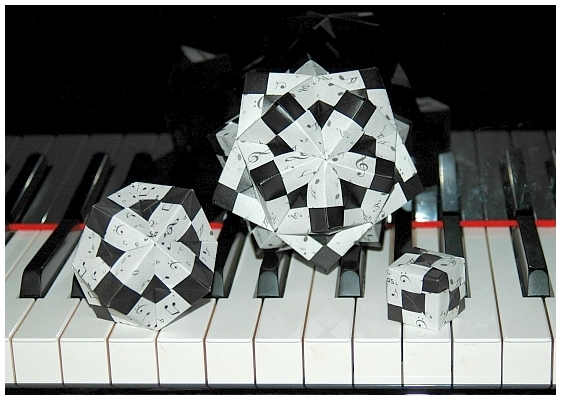 and the model is held strongly together by forces of tension, compression and friction. 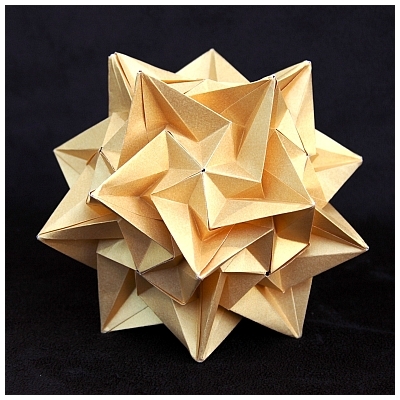 An excellent model. 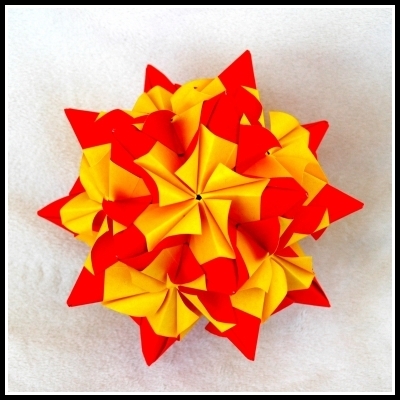 Maltese Cross designed by Irina Reutskaya. 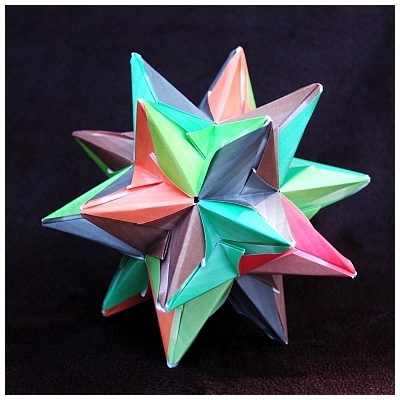 Star Holes designed by Francesco Mancini. 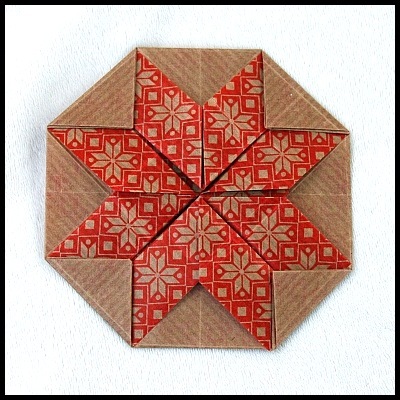 Six Intersecting Pentagrams, only the paper is wider. 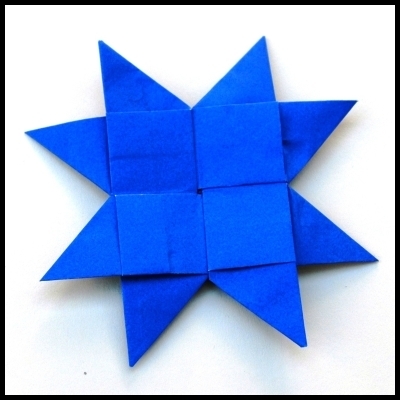 Blintz Fish Star (independently discovered by many). 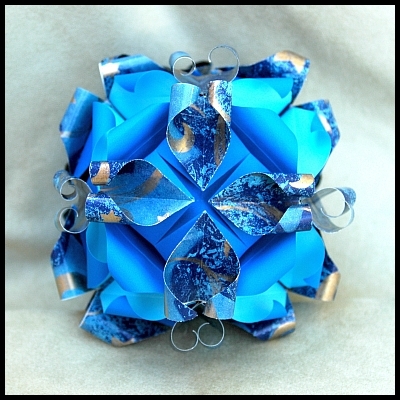 Blooming Curls designed by Byriah Loper. 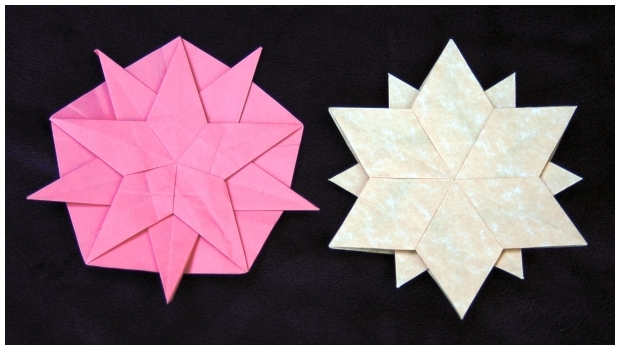 Farandola from 1:2 rectangle (left) and square (right) designed by Ekaterina Lukasheva Pavlovich. 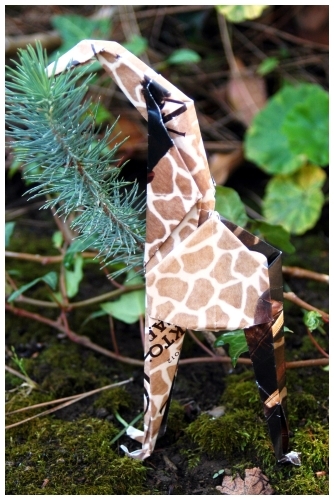 Giraffe designed by Joost Langeveld and Candy Box designed by Chris Palmer. 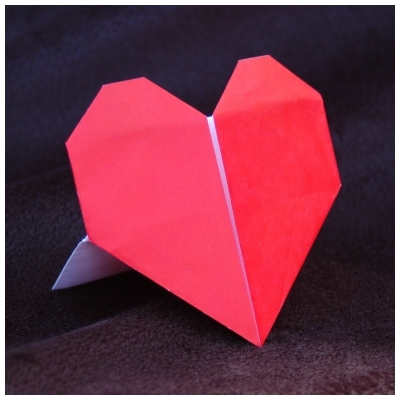 Standing Heart designed by Paul Jackson. 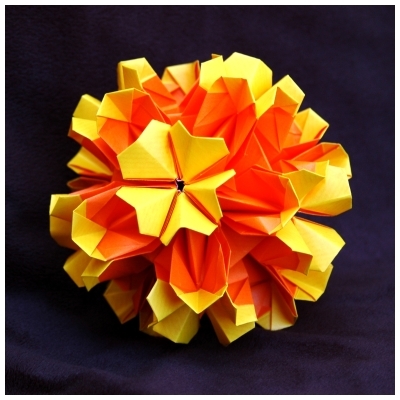 Rafaelita designed by Ekaterina Lukasheva Pavlovich. 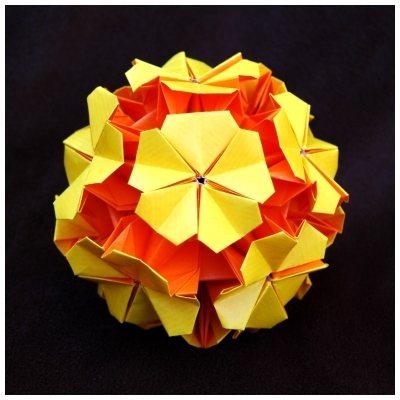 Chandelle en Fleur designed by Maria Sinayskaya. 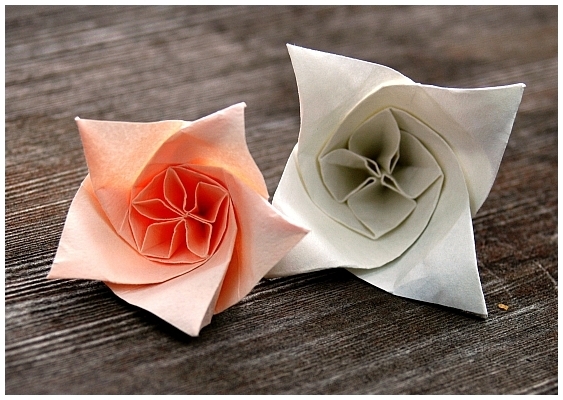 Roses designed by Evi Binzinger. 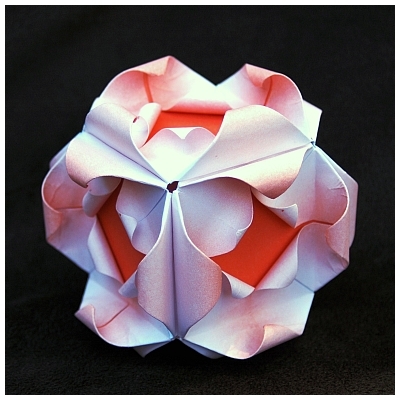 Rose Box by designed Maria Sinayskaya. 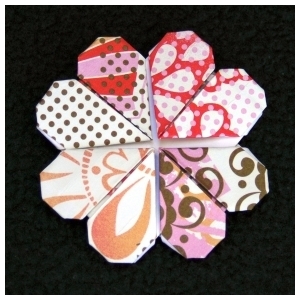 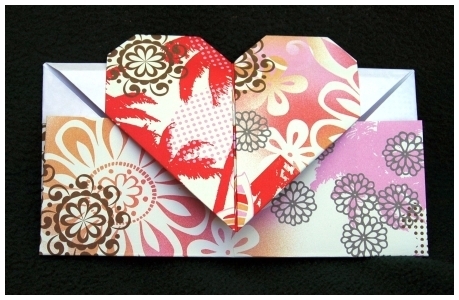 Heart Envelope designed by Eric Strand. 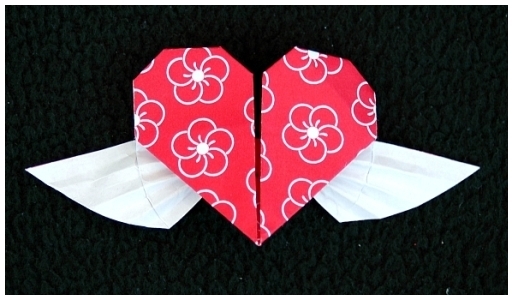 Heart with Wings designed by Francis Ow. 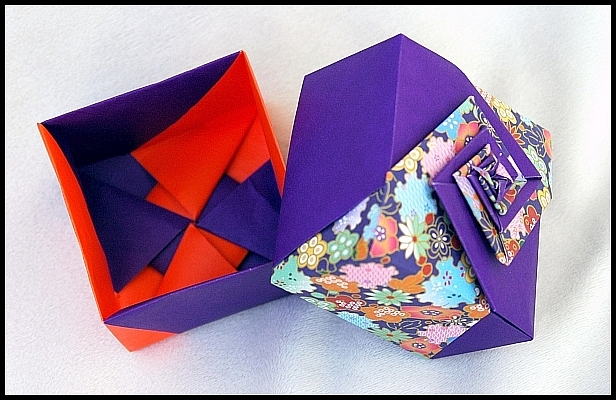 Box In A Box designed by Akiko Yamanashi. 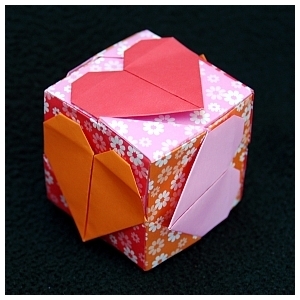 Heart Cube and Heart Coaster designed by Francis Ow. 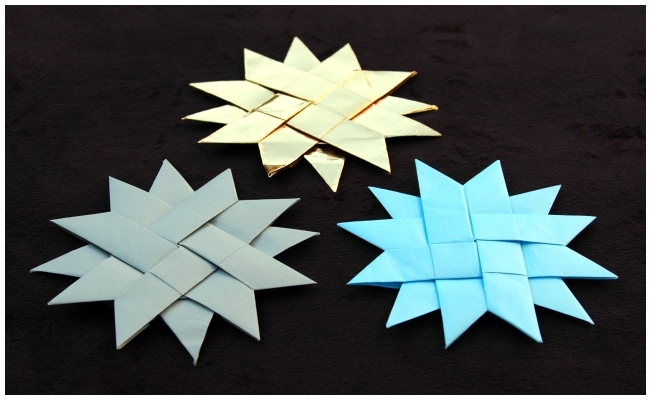 Sonobe Variations designed by Narong Krined.